Solan is a hill station in the north Indian state of Himachal Pradesh in India. Solan RTO is an established for the smooth operations of traffic and transport in the city. The motor vehicle act of 1988 directs all the functions of Solan RTO. It is headed by the transport commissioner. It conducts lots of activities to ensure the smooth flow of traffic and transport in the city. Solan RTO plays a key role in granting all kinds of permits to the vehicles. These permits can be related to all sort of road permits and their renewals. It also includes special permission for the tourist or imported vehicles. Commercial Cargo and fleets also need permissions from Solan RTO for its movement across the city. At the time of buying a new vehicle in Solan, the vehicle owner must ensure to possess the RC of the vehicle. It can be easily taken from Solan RTO after following some steps. RC can be received after submission of a few mandatory documents. Solan RTO is authorized to issue any kind of driving license. All these licenses are mandatory for anyone driving any sort of motor. All these licenses are issued after following a specific process. Once the fomalities are done license is issued easily within no time. Anyone driving any vehicle must follow all the rules and regulations of the traffic. These rules can be related to possessing the mandatory documents in the vehicles. It can also relate to following the red lights and others. Some of these rules are also covered during the driving tests to ensure people are aware of the traffic rules. Solan RTO utilizes all the funds sanctioned aptly for the welfare of transport and traffic of the city. Many activities are conducted with the use of these funds. Some of these activities are like the construction of roads or other infrastructures. Solan RTO contributes to the disbursement of all RTO related details online. Availability of RTO related details of Solan online saves ample amount of time of people as well as RTO. 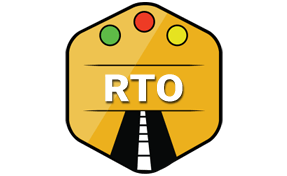 There are lots of advantages of online RTO information of Solan. Some of them are tabulated below. The Regional Transport Office (RTO), ISBT Tutikandi, Tutikandi, Shimla, Himachal Pradesh - 171004.